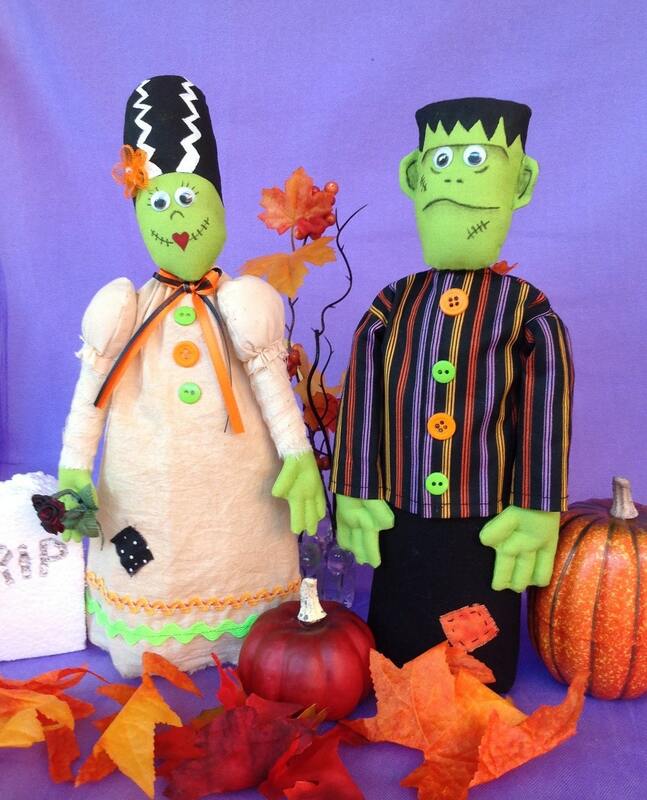 Frankie & Johnnie; no not the song, Mr. and Mrs. Frankenstein. Johnnie is the blushing bride of Mr. Frankenstein the Monster. Johnnie measures freestanding at 12 1/2" tall including her lightning bee-hive hair do. 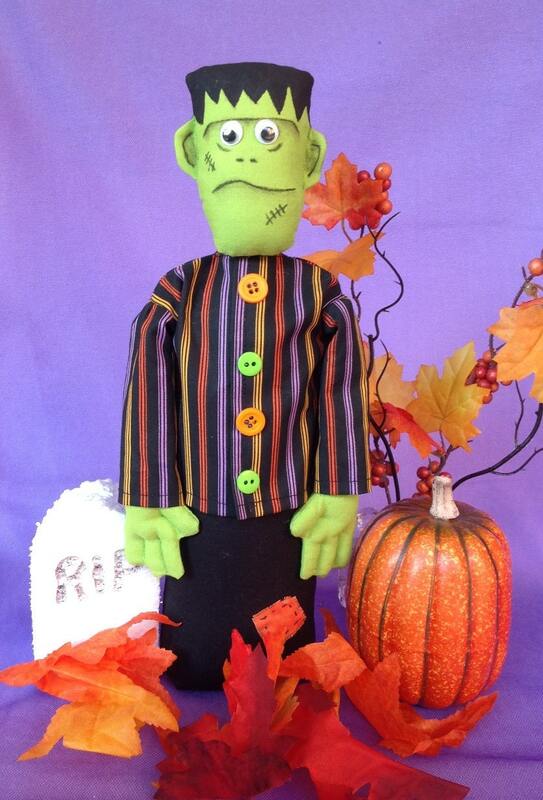 The Doll is designed to be paired with FH-146 Frankie as a Halloween Décor grouping. 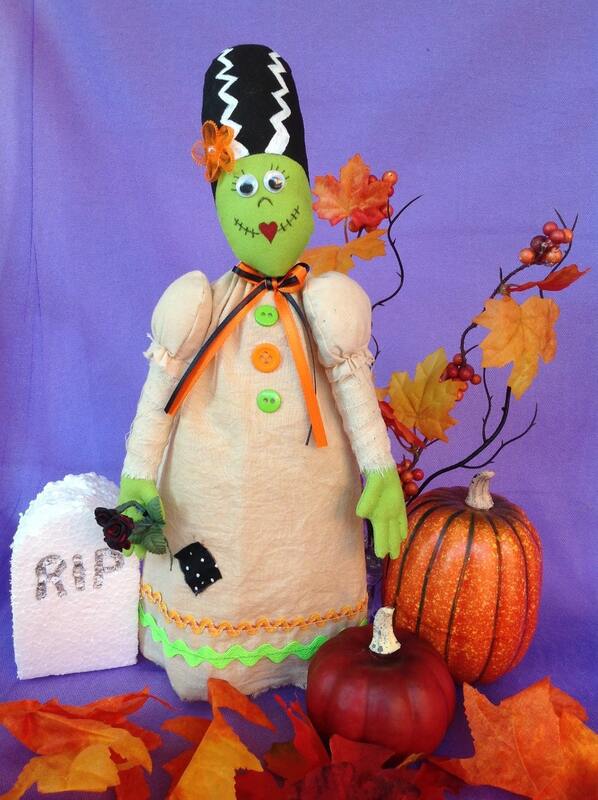 The doll is easy to complete and would be a wonderful addition to your Halloween decorations. PDF instant download comes complete with easy to follow instructions for doll body and clothing. A suggested materials list is included for your convenience. Finished dolls made by you personally may be sold via the internet and at local craft fairs. Please give Fruitfull Hands Dolls design credit. Such a fun pattern! Many thanks.